Disney movies. It is shown on the largest purpose-built 3D screen ever made, at 150 feet wide! of the original Brady Bunch Show. includes an introduction by actress Julie Andrews. original Golden Horseshoe Revue for over 27 years. Cinderella, and Peter Pan. Hibler's best known written work ... Walt Disney's opening day Disneyland speech! be replaced by Hills Brothers Coffee House in June 1958.
airs part 2 of "The Horsemasters." will now be called Disney's Grand Floridian Resort & Spa. Actress, model, singer and music video director Bella Thorne is born Annabella Avery Thorne in Pembroke Pines, Florida. Disney Channel fans know her best for her role of CeCe Jones on the series Shake It Up. Thorne's voice can be heard in a 2014 episode of the animated Phineas and Ferb. 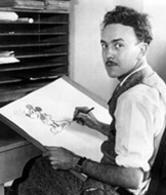 at the work of her grandfather, one of the unsung giants of animation and film technology. 2002 as Journey into Imagination with Figment. 2001) is released on DVD, as is a special edition of Beauty and the Beast. days - for his role of Kevin on the hit series The Wonder Years). and a shiftless, good-natured hick. He is loose-jointed and gangly, but not rubbery." the soundtrack and third Disney Channel Original Movie, "The Cheetah Girls One World." Harris) as The Golden Girls are neighbors of the Westons. The series will run for 7 years. Nature's Half Acre, and Water Birds. days) at Walt Disney World. Tron: Legacy (scheduled for a December release). Studio Lot to celebrate the work of Disney Legend and archivist Dave Smith. of the Walt Disney Archives. in release in the U.S. since June. missions over Central Florida when he was looking for the perfect spot to build a second theme park. New York City. Starring Paul Newman and Tom Cruise, the film will be generally released October 17. "Iron Man" series of films, will debut in late 2016. Matthew forced the resort to close (for only the 4th time in its history) late Thursday afternoon (October 6). Composer, songwriter and guitarist Danny Jacob is born in Los Angeles, California. Lilo & Stitch: The Series, The Emperor's New School, Kim Possible, and Sonny With A Chance. Princess Fairytale Hall opens in Disneyland Park, part of Disneyland Resort Paris.